Okay, I did two more rolls. I learned why they tell you never to load a roll onto a wet reel. I dried off the reel before loading but kind of in a cursory manner. The first roll went on smooth. The second one literally took me twenty minutes to get on the reel bc the reel was sort of wet. The emulsion from the film literally gums up the works making sure that there’s no way possible that it loads onto the reel properly. Still I got it on there. 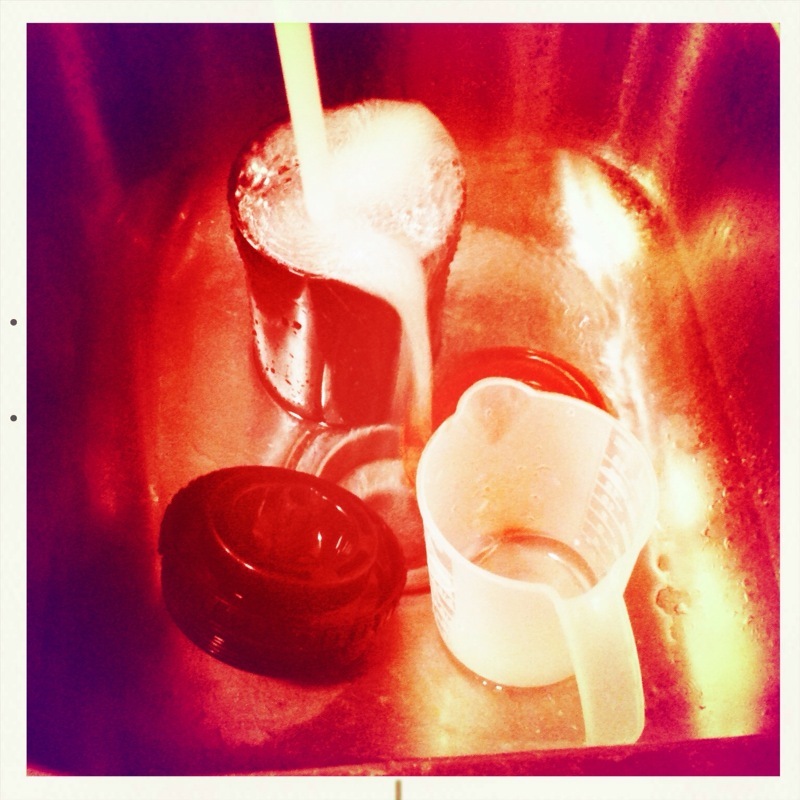 Below is the film rinsing after the film was developed and fixed. 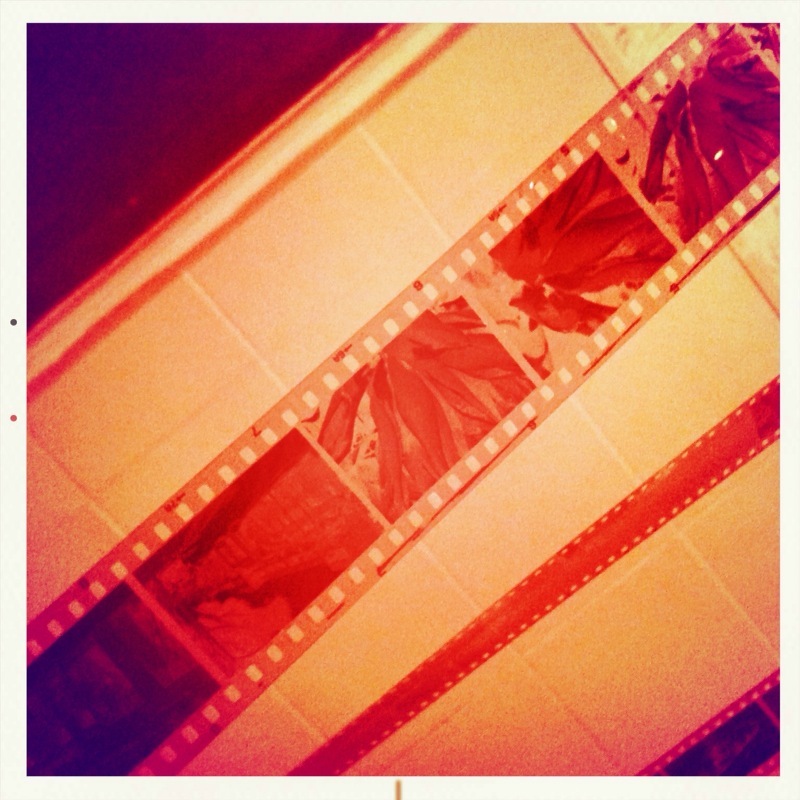 I’m cleaning the fixer off the film. 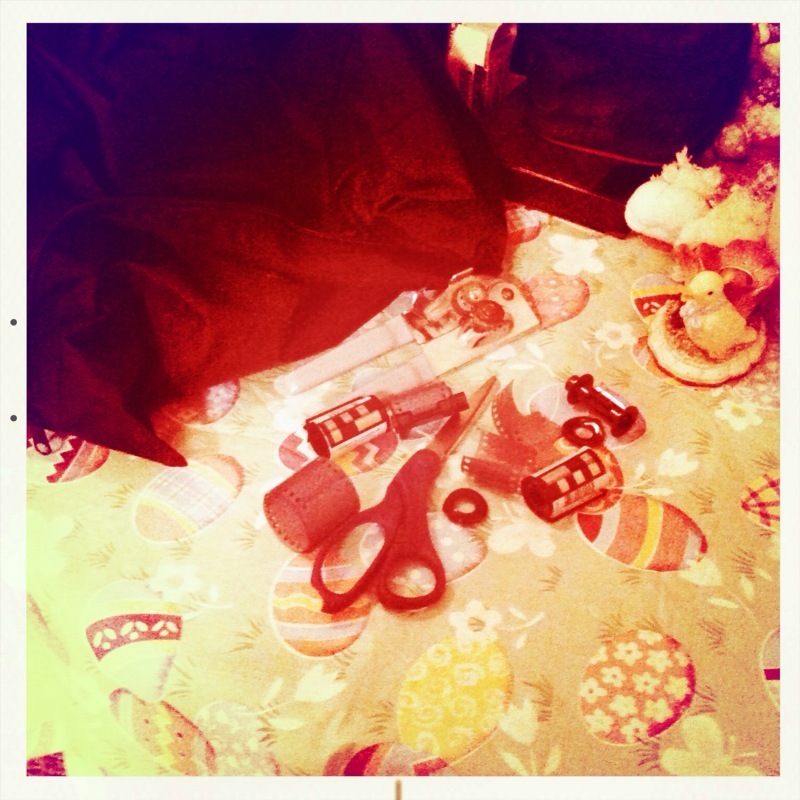 That black material is my portable darkroom. It is a bag that has two compartments. You put all your supplies (film canisters, scissors, tank, reels, can opener) into the inner compartment. Zip it shut. Zip the second zipper shut to block out light. Put your arms into the armholes and make sure it’s tight on your arms. Then proceed. 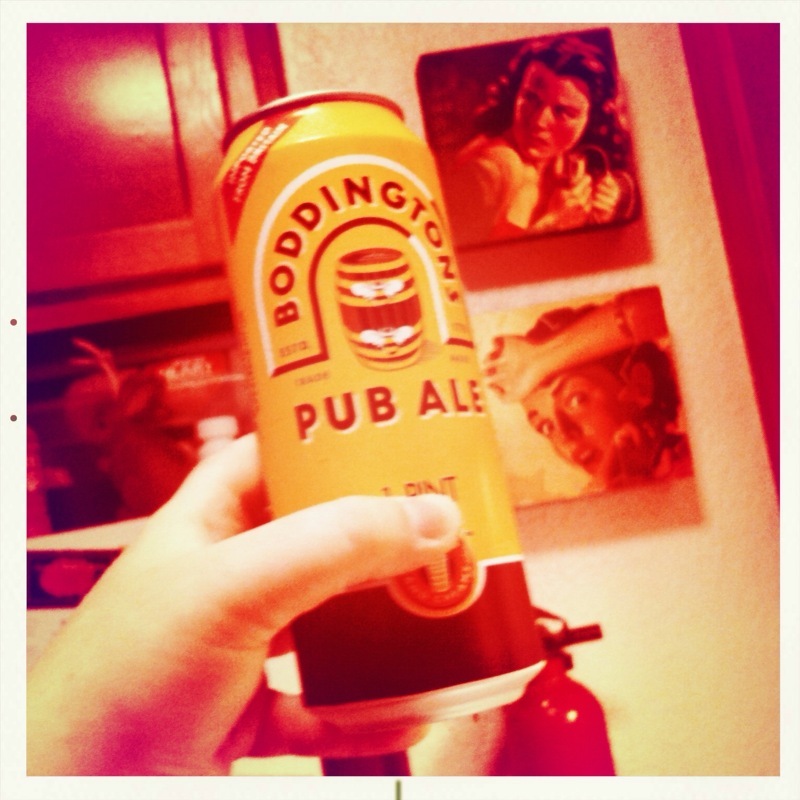 While you’re developing, have a tallboy of Boddington’s to take the edge off your nerves from the entire process. Works like a charm. 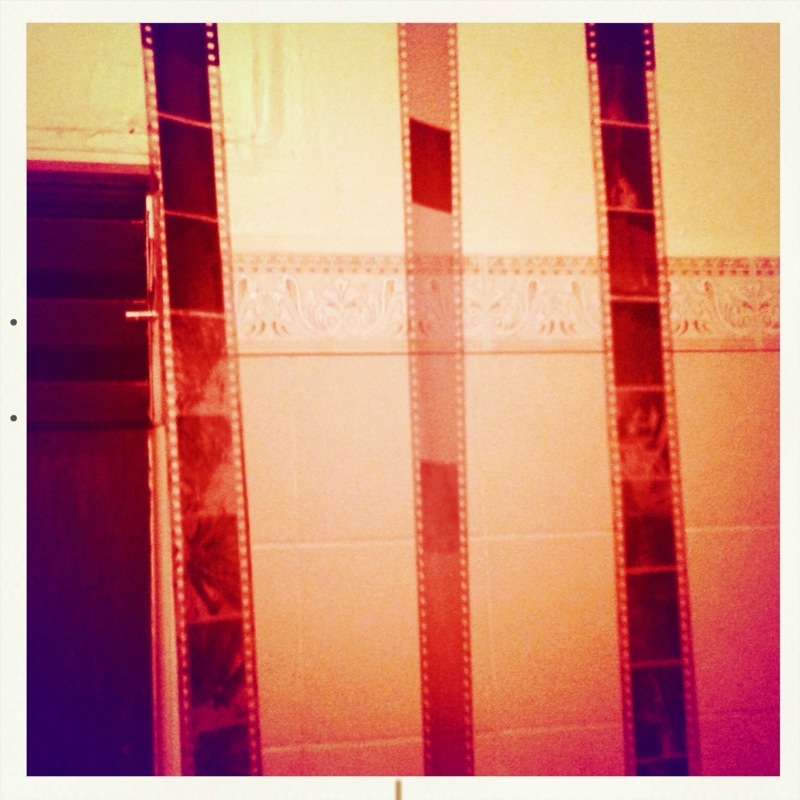 Once the film is warshed, kick the cats out of the bathroom and hang the film up to dry. Kick them out of the bathroom again because you KNOW they snuck in there while you were hangin the negatives up. Here is a closeup of one of the negatives. I took these shots during my lunchtime ambles around Santa Monica. They’re Birds of Paradise and the building I intern at. buberella • This entry was posted in Blah, California, Inspiration, Parties, Stupid crap I've done but am too dumb to keep quiet about, Uncategorized, Weekends and tagged Awkward Family Photos, Blah, California, fun, good times, OMG, Photography, Pictures, Weekends. Bookmark the permalink.